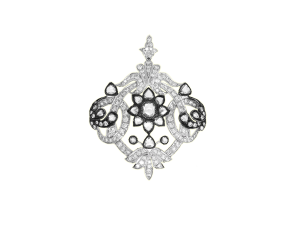 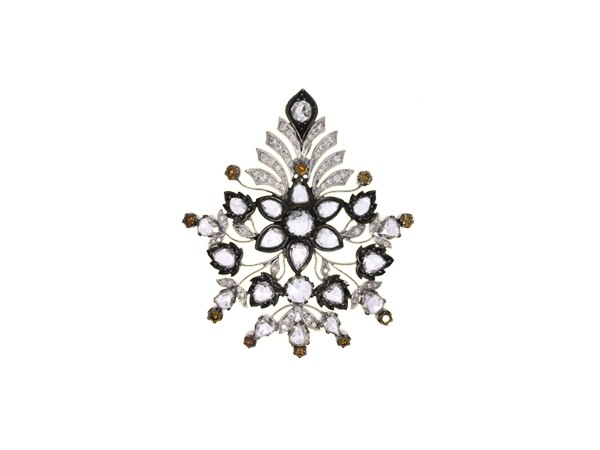 Victorian look pendant with rosecut diamonds and brilliant cut diamonds set in 18k white and blackened gold. 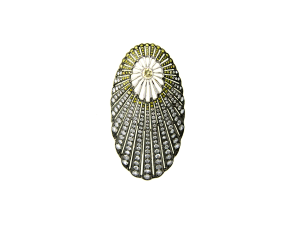 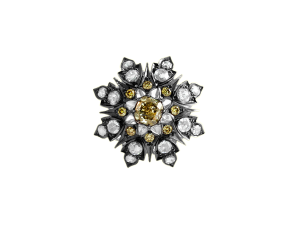 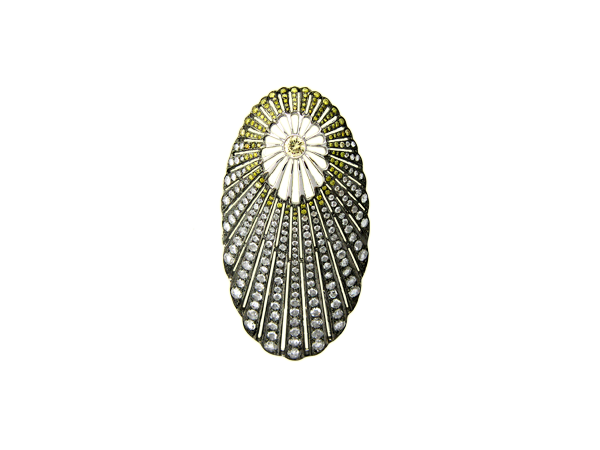 Natural yellow diamonds spreading out as sunlight with graduating rosecut diamonds set as a pendant brooch with openable back grill in 18k blackened gold. 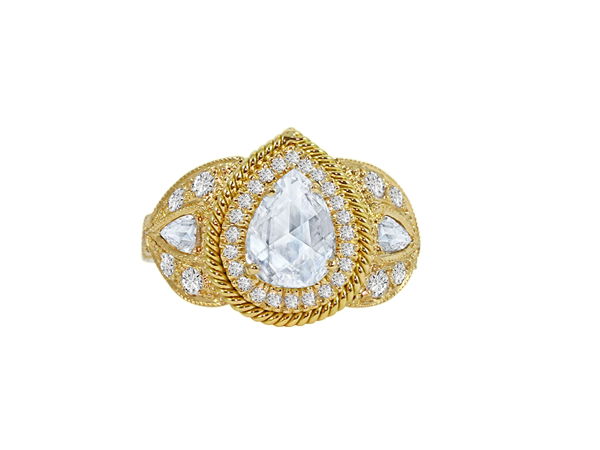 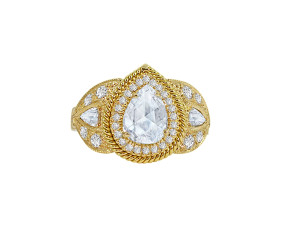 Elegant rosecut diamond center ring accented with brilliant round diamonds set in 18k glowing gold. 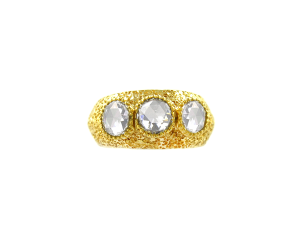 Rosecut diamonds set on a 18k hammered yellow gold ring. 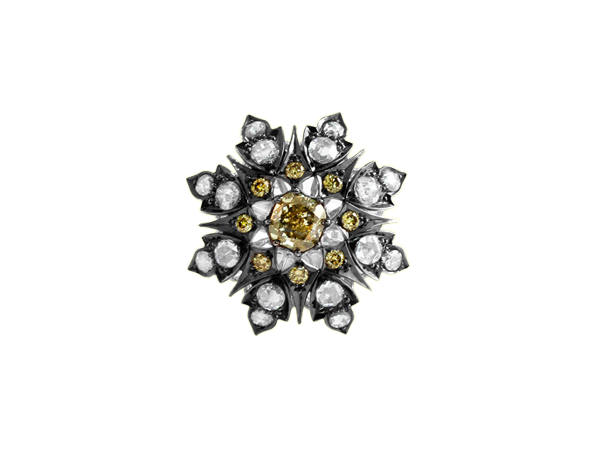 Statement ring with rosecut diamonds showing the kaleidoscopic effect and centered with old mine cut diamond set in 18k blackened gold. 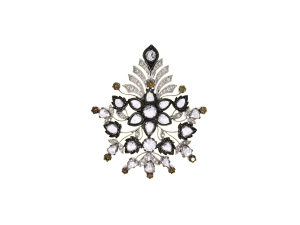 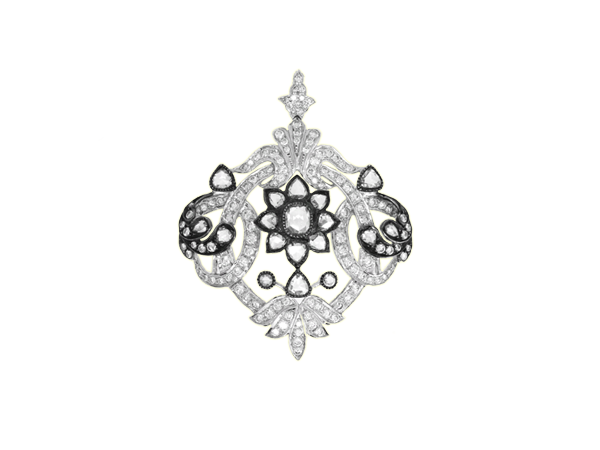 Rosecut diamonds put together to form an art deco floral ensemble pendant set in 18k white and blackened gold. 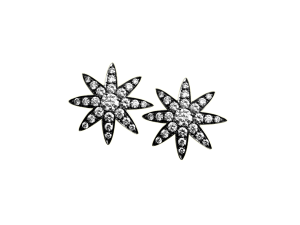 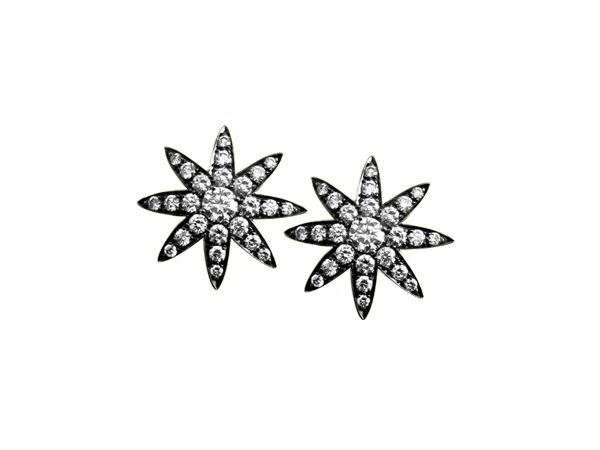 Brilliant cut colorless diamonds combined together to form star earring tops centered with old mine cut diamond and set in 18k blackened gold. 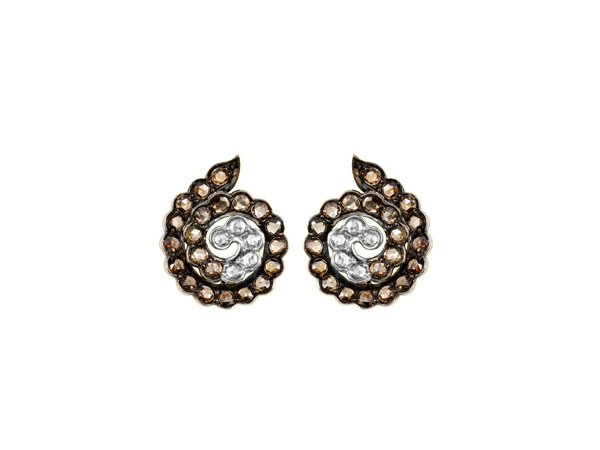 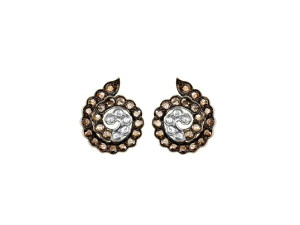 Champagne rosecut diamonds swirling in to center with white rosecut diamonds to form earring tops set in 18k blackened gold.